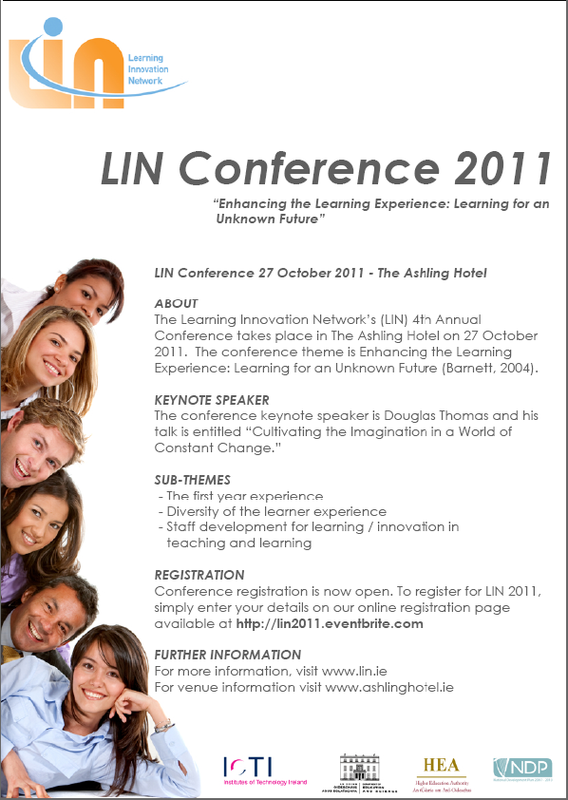 The Learning Innovation Network’s (LIN) 4th Annual Conference takes place in The Ashling Hotel on 27 October 2011. The conference theme is Enhancing the Learning Experience: Learning for an Unknown Future (Barnett, 2004). – Staff development for learning/innovation in teaching and learning. Register at http://lin2011.eventbrite.com or, for more information, visit http://ww.lin.ie.